Earn 875 loyalty points when you order this item. 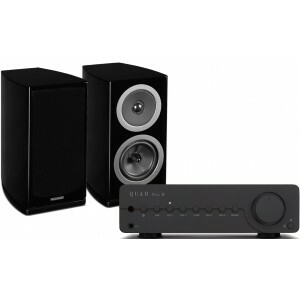 Special savings on this expertly-matched package combining the Quad Vena II bluetooth amplifier in Lancaster Grey with the Wharfedale Reva 1 speakers in black. Other colour options available for Vena at a premium. Wharfedale Reva-1 speakers are the most compact model in Wharfedale's Reva range, the latest Audiophile speakers from the most famous name in British loudspeakers, ideal for small audiophile stereo systems or as speakers in a home cinema set-up. 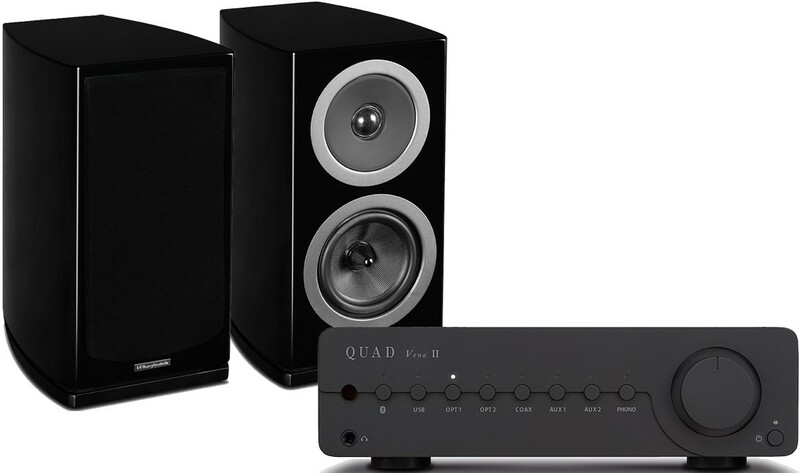 Quad Vena II, building on the strengths of its predecessor, is an exceptionally neat and convenient way to bring true high-fidelity sound to the varied nature of modern music collections – from vinyl and CD to digital streaming and hi-res files via all manner of playback devices. For more info on the integrated amplifier, see our main Quad Vena II page. For more information on the speakers, visit our main Wharfedale Reva 1 page.